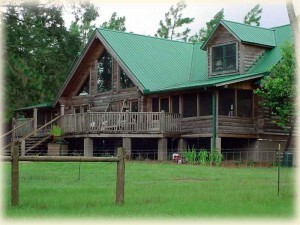 We are a small, family-run, artisan ranch in the panhandle of Florida. We raise sheep and goats, board pets, have Farm Tours and make jelly from the native Mayhaw trees on the property. We raise Tennessee Fainting Goats to sell to families for pets, weed control or breeding. This breed of goat and their cousins, the Mini-Myotonics are perfect outdoor pets for children. We also raise wool sheep for fiber products. We maintain our herds and flocks at sustainable levels and they are all pasture-raised naturally, without pesticides or hormones, in a non-stressed environment. Golden Acres Ranch is situated just north of the small town of Monticello on forty-three acres of cultivated pine forest and pasture. It has a couple of swimming holes and one of the largest Mayhaw ponds in the region. Every year we have a Mayhaw Berry Harvest Festival where, harvest-permitting, you can get freshly harvested berries or some of our own Mayhaw Berry Jelly. We also grow blueberries and make Blueberry Jam. We have lots of other events here during the year. 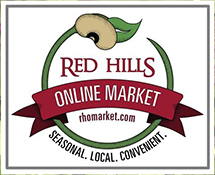 The ranch provides a beautiful venue for recreation, education, and the sale of food, art, and other natural products from nearby farms and craftspeople. We’re proud to be among the original participants of the Annual Regional Farm Tour. And we frequently work with FAMU’s Statewide Sustainable Farms Program, to provide research information for the furtherance of sustainable, small farms and ranches. Keep an eye on this website or sign up for our newsletter to see what’s happening next. We board dogs and other family pets. We have a combination of indoor and outdoor facilities for all types and sizes. We especially love dogs, and in addition to our house dogs, Yoda and Bailey, we keep Great Pyrenees livestock guardian dogs on the property to protect the sheep and goats. They live outdoors with their particular flock, and every year or so we breed a female for puppies to sell. And let’s not forget the chickens! Lots of semi-free ranging chickens provide us with eggs and entertainment. We have 20+ resident Guinea Fowl and sell keets during the Fall Farm Tour. We share lots of information about ranch life in the blog we call Farm News, so be sure to come back. Or, as we mentioned before, you can sign up for our newsletters. You can always email Bobbie Golden from the Contact Us page, or just pick up the phone and call 850-508-2607. Sign up for our newsletter to get updates in your email inbox. We are proud to display the Fresh from Florida logo on our products. Membership in the Florida Agricultural Promotional Campaign (FAPC) helps increase public awareness of the importance of Florida agriculture. Bobbie Golden received her Master Goat and Sheep Producer Certification from Florida Agricultural & Mechanical University in 2009. Bobbie Golden is a graduate of the 2010 Howard Wyman Sheep Leadership School. For a complete report download this PDF.